This time we decided to buy new clothes for all the inmates of home.Since it was weekday I requested my mom to accompany Roslyn Madam. We bought clothes worth Rs.20,000/-.I ordered fresh cream butterscotch cake for the day.We took the cake , some biscuits and reached home with office colleague Karuna. Sobia and Mani were already present there.The children cut the cake.After having cake we played dog in the bone game and left the place after exchanging christmas and new year wishes. 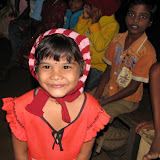 The children were happy donning new clothes. We reached the Old age home, Adit and Viveka were already waiting there.We first bought fruits and distributed to the old people.We spent quality time with them hearing to their stories, getting blessings from them. We got a list of groceries and medicines from the old people.We went hunting for a shop that accepts Sodexho.Ambika Appalam depot was there beside Kapaleshwarar temple.We got groceries for 4000Rs/-. We also got medicines,syrups and adult diapers for the old people.They were happy receiving medicines from us. We left the place bidding bye to all patti’s.Also Rani Madam who manages the show had been to some meeting.Another lady who was managing requested us to contribute for buying a vehicle for transportation. Celebrities have the freedom (financially) to support various NGO’s and causes.We see very few kind hearted ones volunteer themselves.Shriya Saran is one such celebrity who has opened a SHREE SPA.An openeing of Spa might not be different but she chose to be different by employing Visually Challenged people. 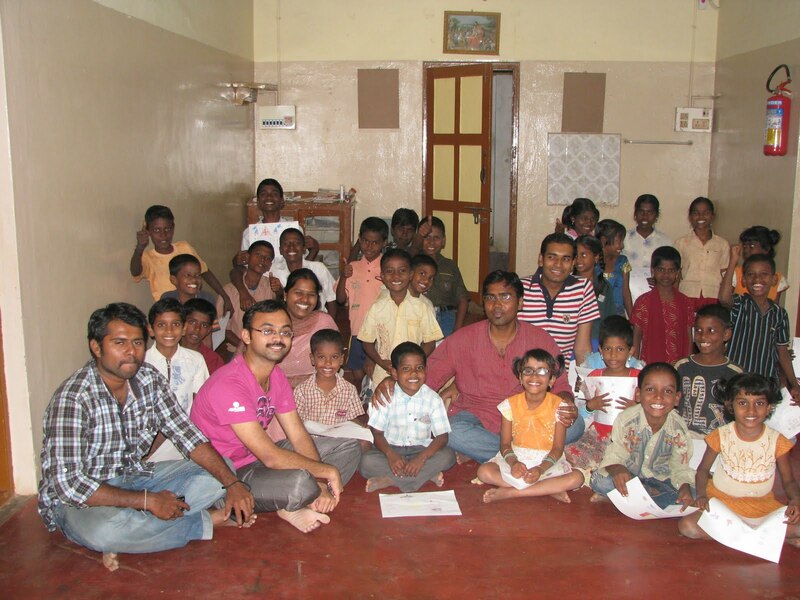 In conjunction with an NGO called Shreespandana, the spa has been attracting a lot of attention for its noble cause. The SPA is loacted at Lokhandwala in Andheri, Mumbai, the spa offers various therapies, including full body massages (oil and dry), foot massage and back massage. Of the five people that form her staff, two are completely sightless while three have partial sight. The visually-challenged are blessed with a keen sense of touch and healing.More employers should come forward to employ them.More coworkers should not feel bad to work with them instead should assist them. We can very simply help blind people who are trying to cross road.Please practice to feel contended that cannot be easily defined; it can only be experienced. We visited the home on Saturday evening.I was not able to order snacks due to lack of time.Morning, I had to take mom to Dr for diabetics.We went to Reliance got groceries worth Rs.4000/- wherein other shoppers were staring at us. We were getting late.We then ordered Cakes and Soft drinks.We loaded rice bag, two boxes of groceries,Cakes and Juices.We also picked Prins from Kilkattlai.Gyana and Rekha already reached the home. We decided to conduct games.We conducted Ball Passing game and another game where chikldren have to form circle and hit with balls. The children seem to have enjoyed both the games.We then distributed Cake,Chocolate and Drinks.We asked the children to be seated and distributed papers for drawing.We gave enough time for the children to draw. Children came out with innovative thinking.Their drawing included cartoons,Patriotism,Festivals,Poems and Environment. We decided the winners and distributed chocolates and wafers to all.It was an awesome day bid bye to the kids and we left the place. August 26, 2010 marked the birth centenary of Nobel Prize Winner , Holy Mother Teresa.A train exhibition with pictures and sayings was inaugrated.This sunday the train reached Chennai Central.The train was standing in Platform 11 of Chennai Central. 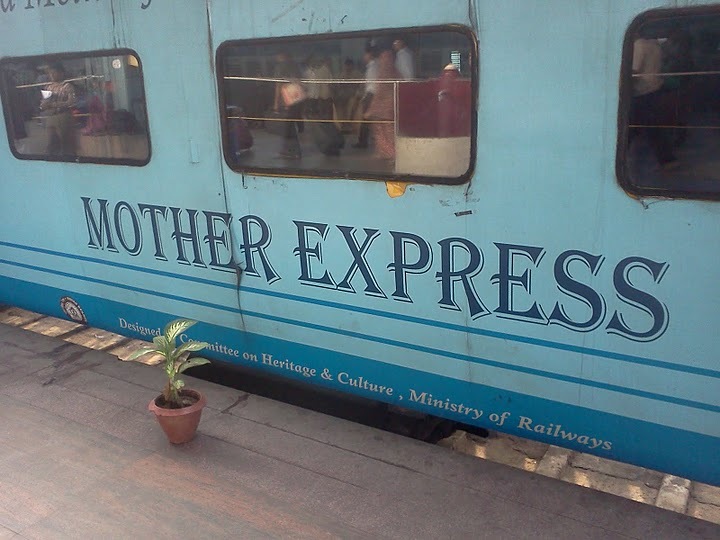 There were few compartments only with Mother Express Written on the compartments.They had kept flower pots and posters of mother.We wntered the compartment which had pictures of Mother’s parents,Childhood.It was a rare oppurtunity.She was born as Agnes Gonxha Bojaxhiu. 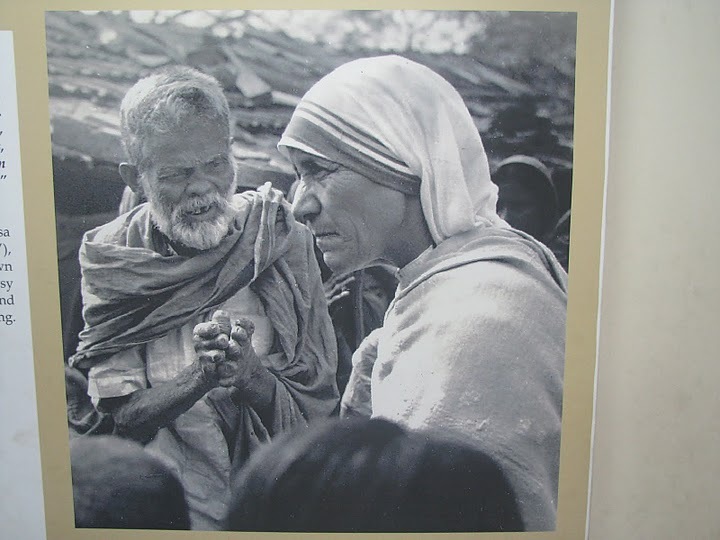 Her journey to India and later working on Calcutta riots,Misadministration and care to feed slums.The most moving picture was her way of handling Leprosy patients.She is really a God like humanbeing and thats why her beatification took place in 19th Oct 2003. We all know little bit of Mother Teresa. One incident that came a cross my eyes was when Mother Teresa went to a bakery man for bread for her orphan children. As she raised her arms, the bakery man just spit on her hand. Then Mother Teresa told him, I would keep this for me, but give me some bread for my children while holding her another hand. On that spot, the bakery man realized Mother Teresa’s gentleness and become a main bread donor for her orphanage. 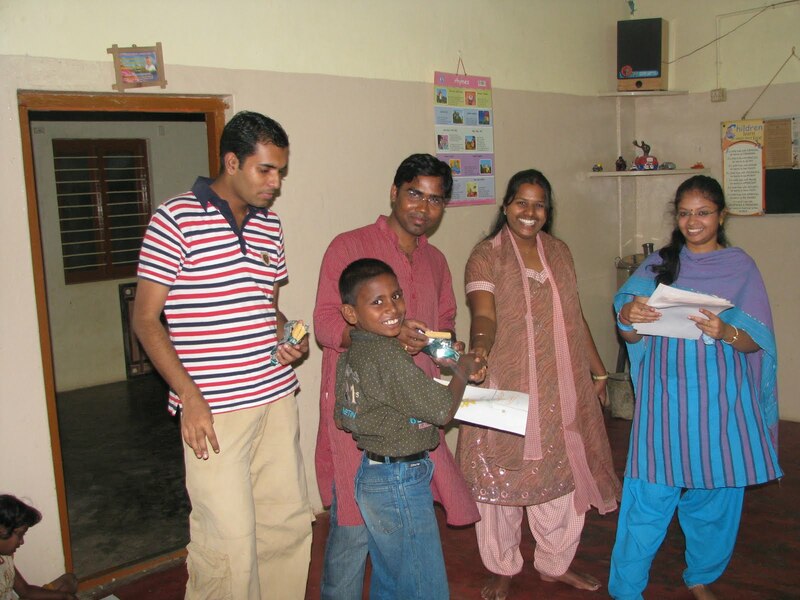 She started Nirmala Bhavan to look after orphans and disabled, and now it is spread throughout India. Her awards were listed in last compartment and the most moving her last day pictures.Mother Teresa died on September 5, 1997.The room she lived was shockingly small.It is a great lesson to each and every one of us. We live luxurily but rarely shell out money or food for others.Here is a soul who lived for others,fed others and treated their diseases.Thanks to Indian Railways for the exhibition.Next the train is travelling to Bihar,Its a must wtach in this world of hatred. Only different and nice thing this New Year is “I am married”.This year also we provided food to the Kids of Jeevan Roshni Childrens home at Sunnambu Kolathur.We ordered breakfast comprising of Idli,Vada,Pongal,Sambar,Chutney,Sweet,Puri and Aloo masala. Children seemed to have enjoyed the food.It was a feel good experience bringing smile to children’s face ( In a small scale though).We left the place tiresome as me and Lavanya were serving the bunch of children. This new year day I didn’t want to miss the routine of serving as volunteer in Madipakkam Ayappan temple.Last year I missed out.So we reached there served for 3 to 4 batches and after Ayyappan Darshan came back to home. Spent the rest of the day watching TV.I also got my first Andriod Phone.LG Optimus P500, Android 2.2.It is obviously wonderful phone. 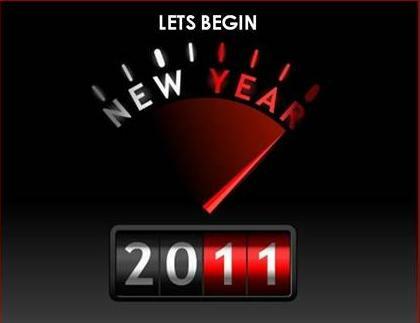 This new Year also marked 50,000 hits to my blog.Good News!!!!! This Diwali we planned to go to Jeevan Roshni Childrens Home near Kovilambakkam.I ordered Snacks and already informed to friends and colleagues.Shankar came to our hose with Crackers.We bought Cold drinks and some groceries. 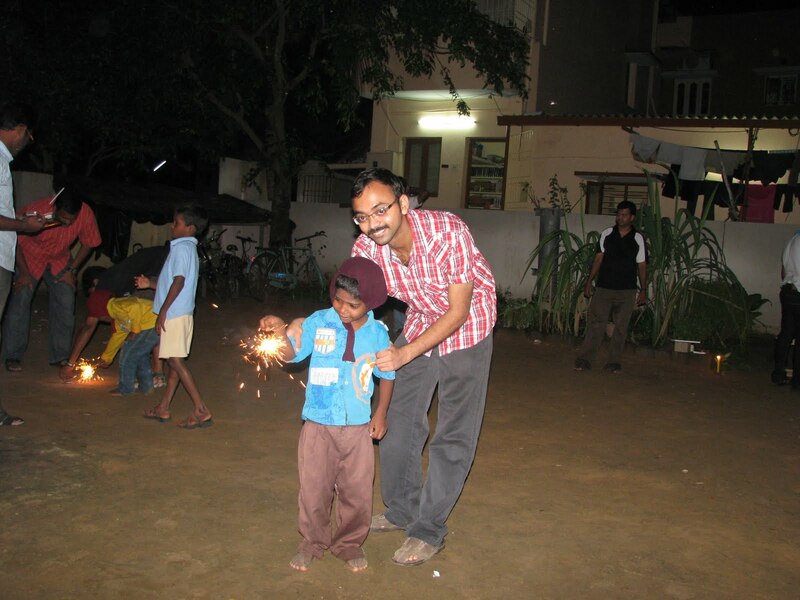 We (Mom,Lavanya and Shankar) reached there a bit late with my colleagues waiting there at Orphanage.The children were enjoying playing Cricket.We jumped there palying a spoilsport.They were happy as well coz we bought Crackers.Crackers is always a main piece of attraction for Diwali. Though personally I am against busrsting crackers and polluting the air, had to do it for children.We arranged benches and cildren were made to sit in an order.We gave sweets and Samosa to the kids. 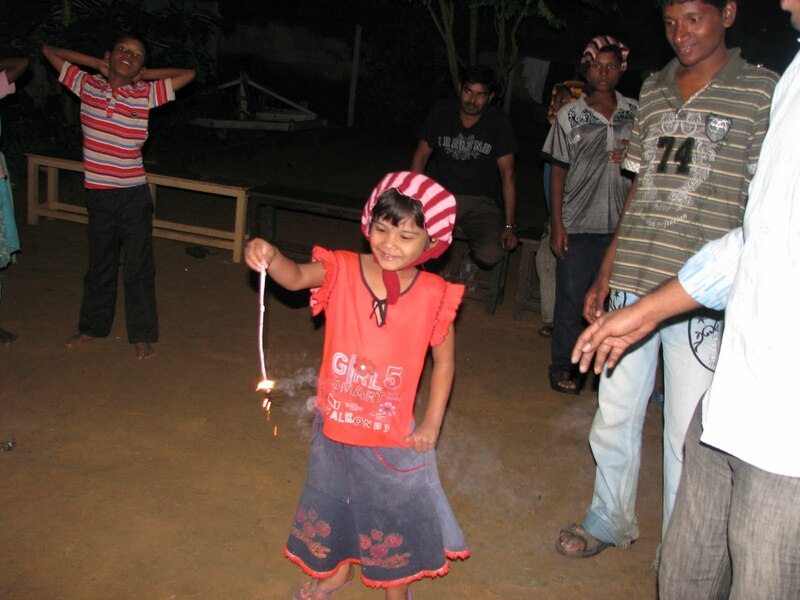 Children were bundled in Scarf to avoid Climate attack but we gave them Cold drinks to add to the worry of the madam who maintains the home.So within no time we started with crackers one after another.We had few people so we could organise and send them to burst crackers. They seemed to have loads of fun bursting crackers which spread colours on the sky.We gave some crackers for the children on Diwali day.We also gave some groceries. We retuned after all the children wished us “Happy Diwali”.We had a great time and happiness filled in our hearts.I promised to come back on Diwali day for morning breakfast.